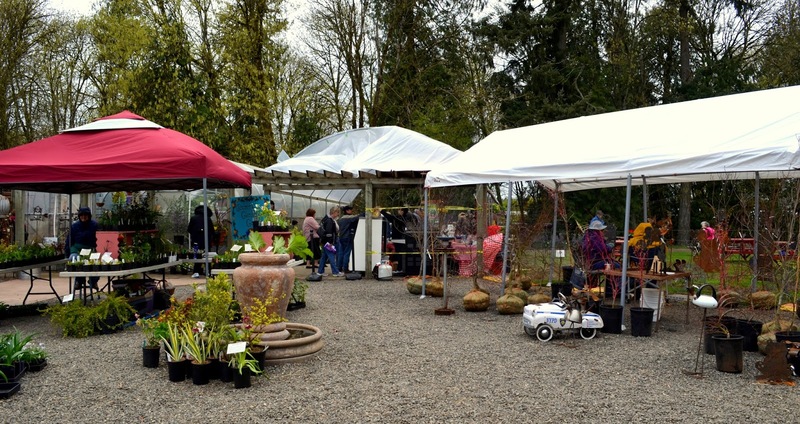 It was a blustery, and semi-damp, early spring day for this year's Spring GardenPalooza, but that did not stop the enthusiastic plant shoppers from showing up to enjoy the event. 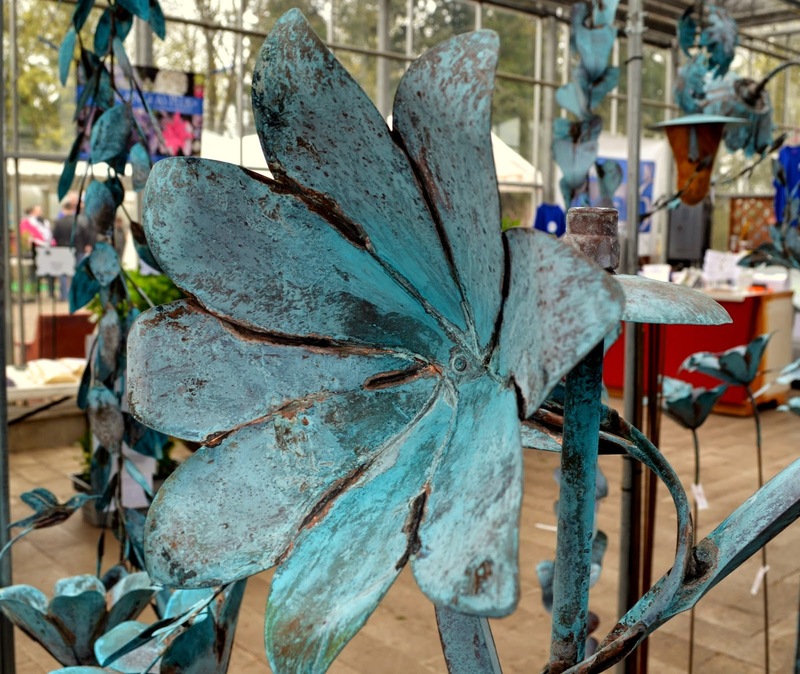 Over 40 vendors of plants, garden art and food, braved the weather and set up shop. 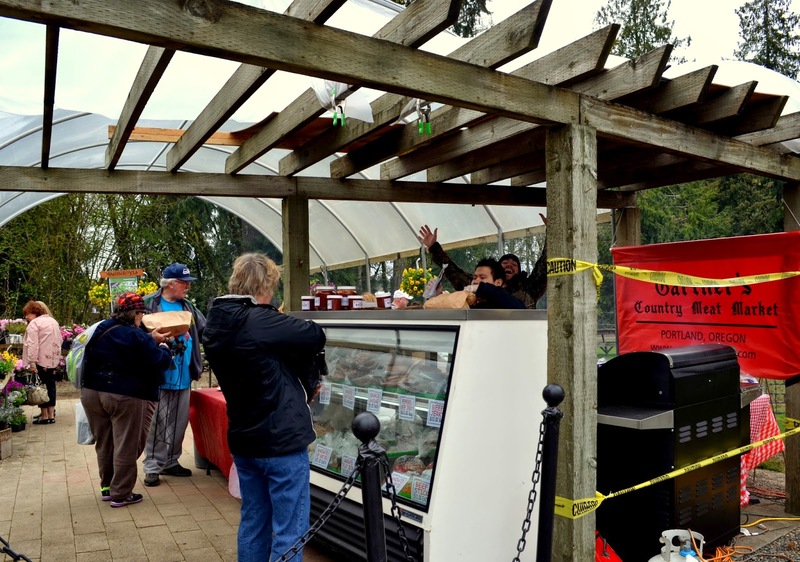 I spoke with Fir Point Farms owner, Jessica Romaine and she excitedly told me the event appeared to draw it's largest crowd and many of the vendors I spoke with echoed that sentiment. 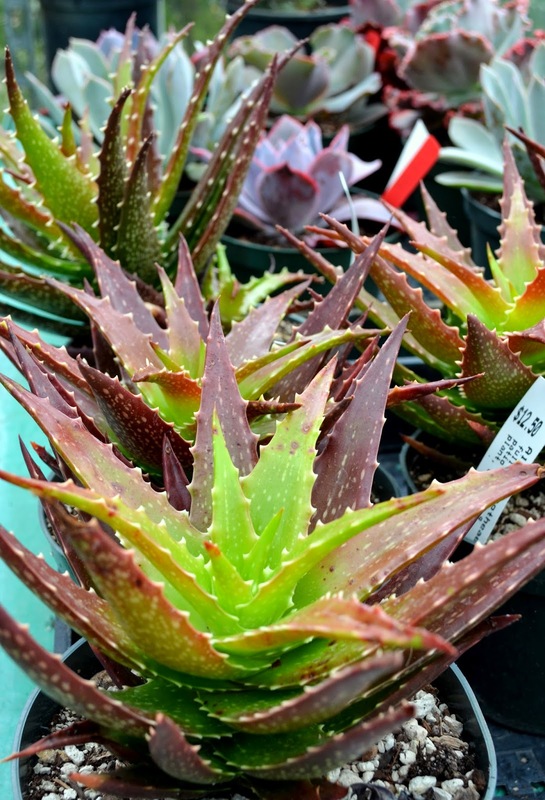 After grabbing some apple pie to bring back to the husband unit from Country Grains bakery, I headed out to shop plants. So many pretty flowers. But I was good. I stuck to my list. Bah. I believe there were several more art vendors this year. 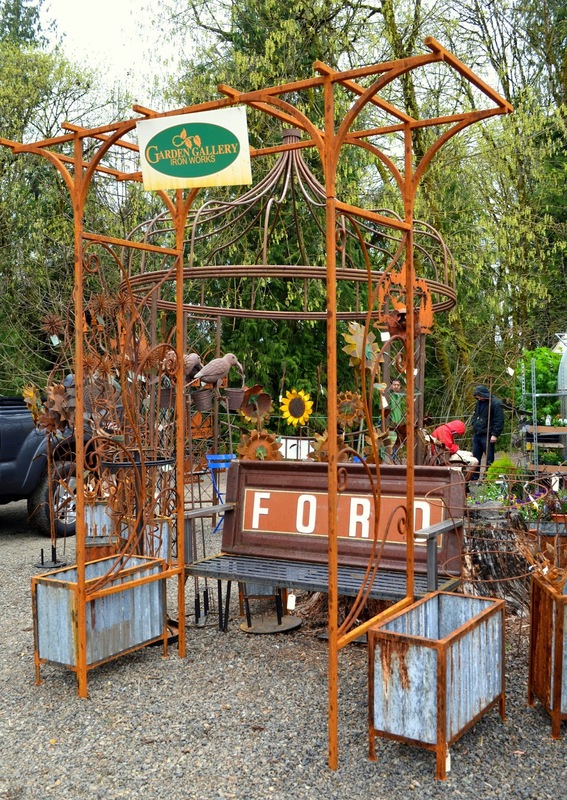 I admired Cowdawg Creations beautiful patina copper creations. I always enjoy Sedum Chicks booth. 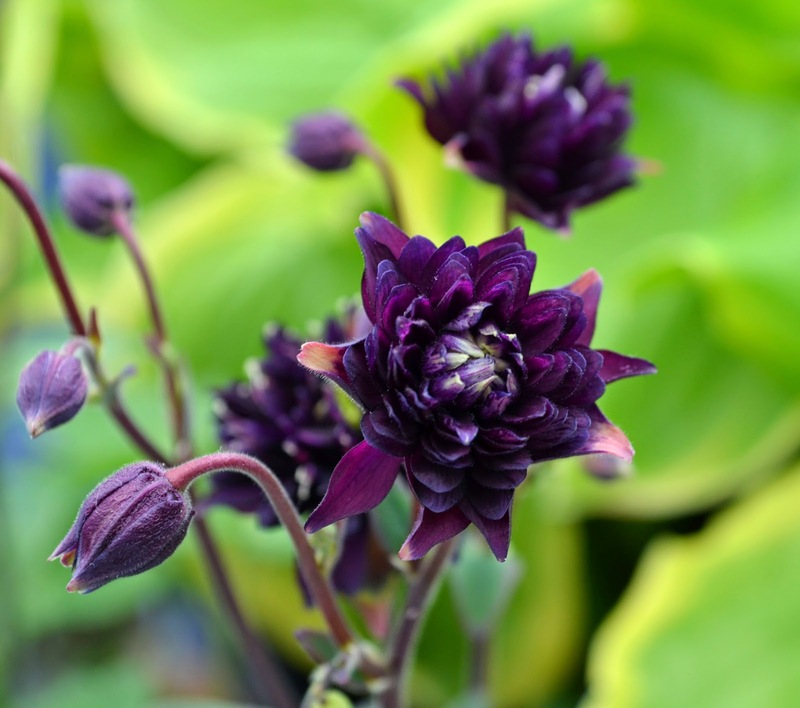 Lot's of creative ideas to decorate with sedums and sempervivum. 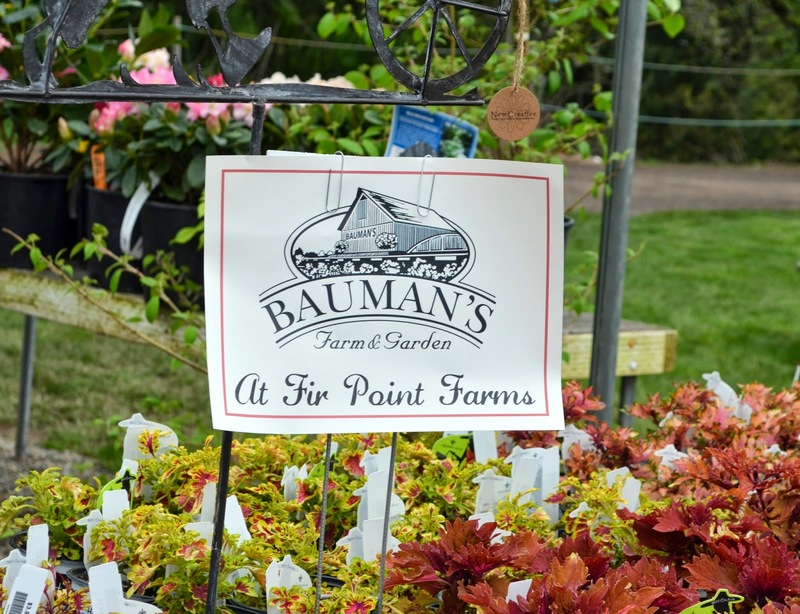 More excitement is happening at Fir Point Farms as Bauman's Farm and Garden will be partnering with Fir Point to bring nursery stock, hanging baskets and annual & perennial plants to Fir Point all season. I'll be watching with anticipation to see the changes. 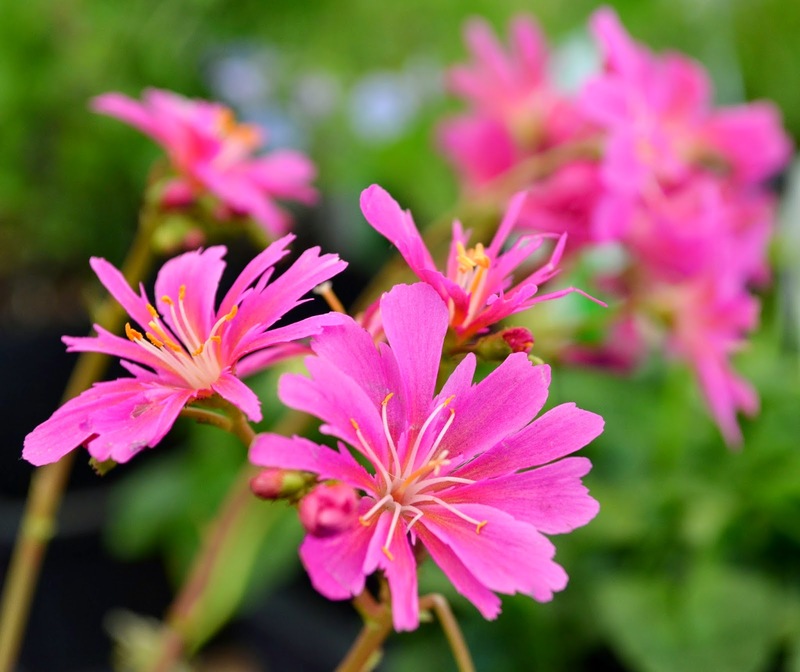 Most of these vendors will be at next weekends grand event, Hortlandia, in Portland, Oregon, (at the Expo center) one of the largest plants sales all season. So, get ready. 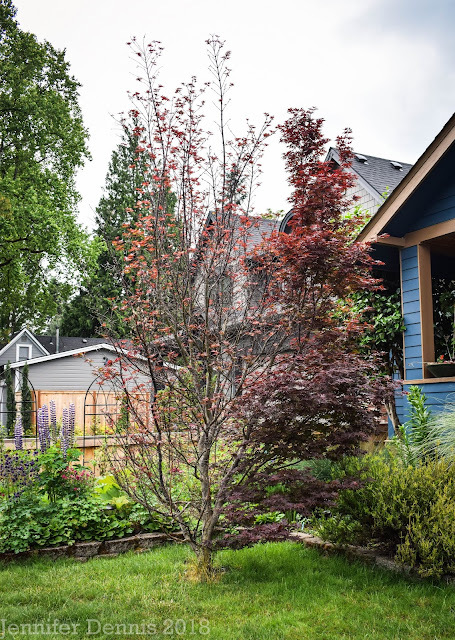 It's time to garden. Good loot! 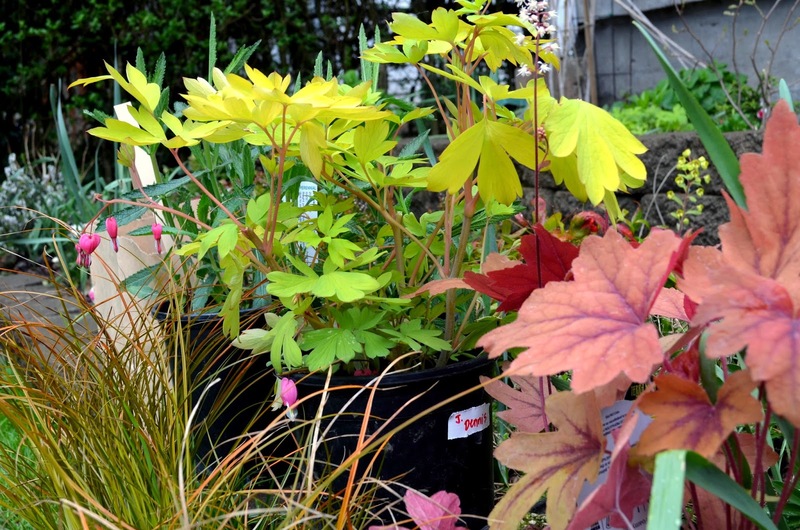 Is that a Gold Heart Dicentra? I have that and love it! I loved reading all the build up to this event, maybe someday I'll attend. Until then...can't wait for Saturday!!! 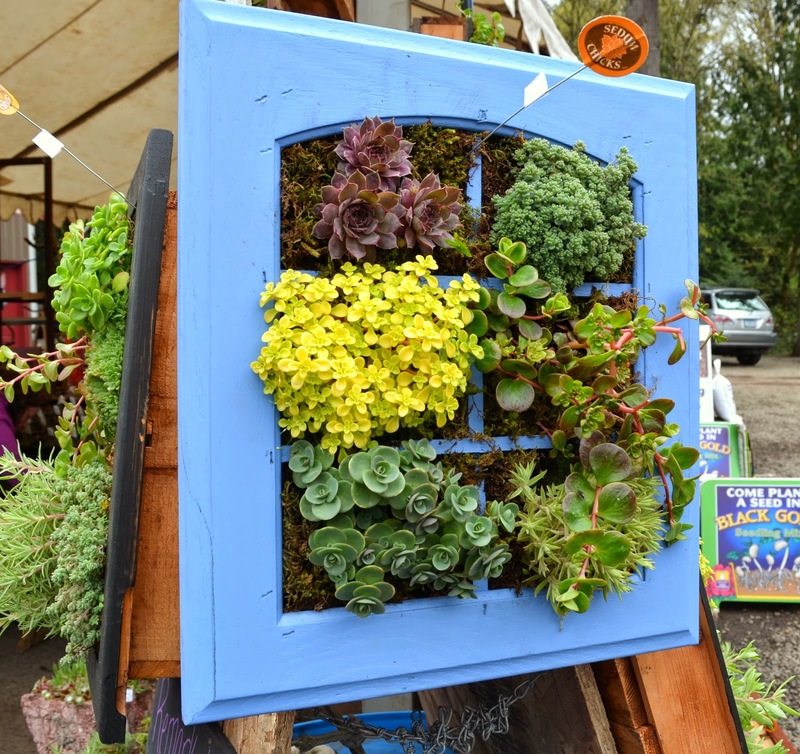 The blue frame with the sedums and sempervivums is absolutely stunning! I'd never have the courage to put it in my garden though... I'm having trouble understanding the concept of going to an event like this with a LIST. And you stuck to it, you say. How? With a name like "Gardenpalooza" it's gotta be fun!